A well appointed restaurant/wine bar situated in the popular town of Llandudno. 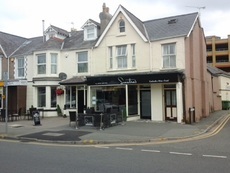 Renovated to a high standard and available only owing to our clients having other business interests. Total 50 covers and 14 covers outside. Centrally Heated. Two w/c one gents and one shared between the ladies and disabled w/c. FULL REPAIRING 9 YEAR LEASE FROM JANUARY 2017. January 2022 - £17,000 then linked to retail price index. St David’s Commercial has not checked any fittings or fixtures and cannot guarantee they are in working order. Your home is at risk if you fail to keep up payments on a loan or mortgage secured upon it.